Reddit users reported about a malicious application on the 3rd of November and it was removed from the Google Play the same day. However, during the time it was available, millions of users managed to fall for the scam and download a fraudulent app. The fake “Update WhatsApp Messenger” app worked as an adware-related application that delivered suspicious ads that offered to download various security programs or updates. Of course, changes to the system were also made in order to prevent users from removing this Android virus. At the beginning of November, WhatsApp users may have received a joyful message about an opportunity to get supermarket vouchers for free. Scammers allured targets with Asda, Tesco, Aldi, Marks & Spencer vouchers. However, to get them, people had to fill the survey or send the same message to other 20 contacts. The false message also includes the link to the website that mimics the original retailer’s site. However, usually, the name is misspelled. Besides, if you decide to enter a provided URL to the address bar manually, you will see that this page is marked as deceptive by popular web browsers and does not exist on the original website. The malicious website asked to enter personal information, including financial data. Revealing this information to cybercriminals might not only lead to money loss but identity theft too. Additionally, the malicious website installs tracking cookies that spies your activities on the phone. Latest security reports note that suspicious browser extensions that might display ads or install other malicious apps on the smartphone. “Update WhatsApp Messenger” virus and WhatsApp vouchers scam are not the first criminals’ attempts to attack popular messaging app users. 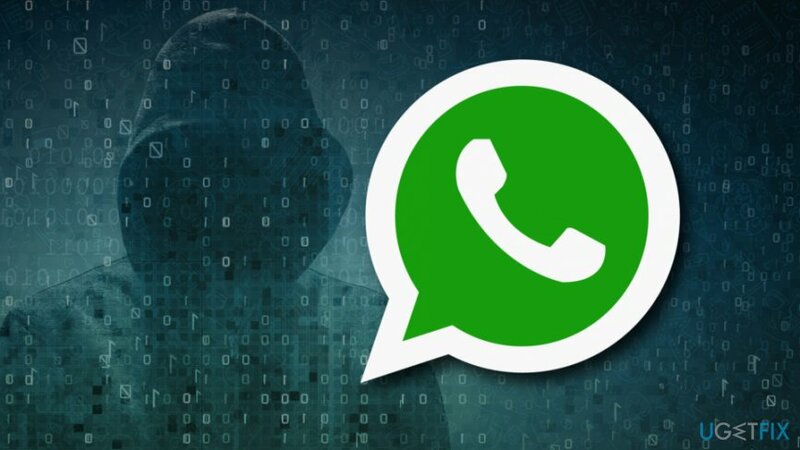 Security experts reported about WhatsApp virus versions, such as WhatsApp GhostCtrl virus, WhatsApp voice message Trojan virus, WhatsApp Gold scam, WhatsApp trial service scam, etc. Download and update WhatsApp from the legit stores only. However, you should also read user reviews and check information about the developers to be sure that hackers did not develop it. Read app permissions. Fake apps always require full access to the smartphone, ability to record your calls or collect other sensitive data. If you see such inadequate requests, do not install the app. Be careful with received messages. Scam or phishing messages might claim to be sent from or be affiliated with WhatsApp, ask to forward the message for your contacts in order to avoid legal punishment or account suspension, accept the prize or gift. Pay attention to received emails. Some scams are spread via emails that pretend to be an alert from WhatsApp. In order to check if the issue is real, you should login to WhatsApp account. If there are any problems or you got a message, you will be able to find it there. If not, you have been just scammed. Check grammar or spelling mistakes. Crooks often leave plenty of them. ^ Iain Thomson. Over a million Android users fooled by fake WhatsApp app in official Google Play Store. The Register. Sci/Tech news. 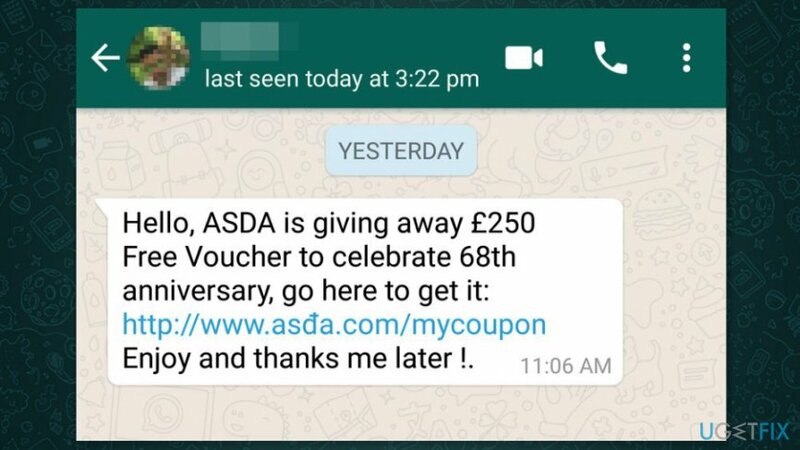 ^ WhatsApp scam offers free vouchers for Asda, Tesco, Topshop and more. iNews. News, politics, comment and lifestyle. ^ WhatsApp: How the supermarket voucher scam works. BBC. Worldwide news. 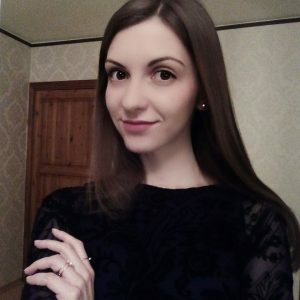 ^ Ugnius Kiguolis. WhatsApp virus. How to remove? (Uninstall guide). 2-spyware. Security and spyware news. ^ Hoax messages. WhatsApp FAQ. The official website. This entry was posted on 2017-11-08 at 05:57 and is filed under News.